24 hour emergency dentists could be found all over Lowell, a Massachusetts-based city that has a bunch of amazing well-practiced dentists. These emergency dentists know the right ways to handle all emergency dental situations, be it day or night. 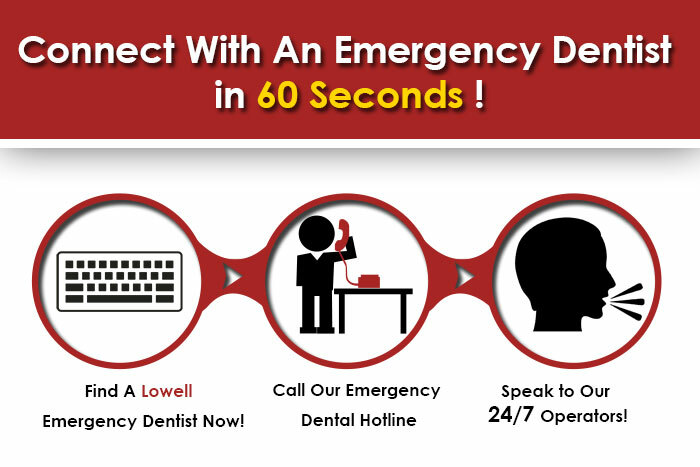 America’s first planned industrial city, Lowell has its share of residents who get into fights or accidents that may lead to broken teeth, cracked jaws, and such, which is why emergency dentists are a blessing. Out of the 108,000 individuals that reside in Lowell, at least 50% are females who may require more dental services than the males, due to the fact that females tend to have a deficiency of calcium, iron and vitamin D in their body. Well-known for its Lowell Folk Festival that invites all folk lovers to drop by for a free visit, Lowell is also famous for its dentists and dental care units. Find Massachusetts 24 hour dentists today. Dr. Coravos specializes in a bunch of fields of dentistry, including family dentistry, periodontal therapy, white fillings, dental implants, dentures and sports dentistry. To make an appointment with him, call up at 978 458 4921. Not only does their staff make use of high end equipment, they also strive to make their patients stay at ease, whether they are waiting for their turn or inside the chamber, sitting through a dental procedure. They are open on Mondays, Tuesdays, Wednesdays, Fridays and Saturdays. On Mondays, they are available from 1.00 p.m. to 8.00 p.m. On Tuesdays and Wednesdays, they could be visited from 8.00 a.m. to 5.00 p.m. On Fridays, you can drop by at any time between 7.00 a.m. and 1.00 p.m. On Saturdays, they are open from 9.00 a.m. to 1.00 p.m.
Dr. Szarek fully comprehends the challenges of maintaining a beautiful and bright smile, which is why he dedicates his time to tending to patients and their dental problems. He has at least 15 years of experience in the field of cosmetic dentistry, often deemed as a great dentist by his peers and colleagues. His website allows potential patients to take a tour of his chamber before they drop by for a visit. To book a meeting, call 978 454 9332 and the receptionist will see to it that you get an appointment at the time and date that you find best. Alongside cosmetic dentistry, Dr. Szarek and his team also tend to emergency dentistry patients, even after office hours. Residing in Lowell and looking for a gentle dental team that could see to the overall dental health of you and your entire family? Cross Point Family Dentistry is right where you should be. To get in touch with them, call 978 459 6467. Their methods of payment and offers will definitely appeal to you, helping you build a long-term relationship with the staff. Dr. Greg Grillo DDS has more than two decades of expertise as a dental practitioner. His combined passion for dental marketing and knowledge of dental software, makes him an invaluable asset to our team.